Medical Program: Getting Started in Direct Primary Care: What’s Involved? Narrator: Welcome to Clinician’s Roundtable on ReachMD. The following activity, titled “Getting Started in Direct Primary Care: What’s Involved?” was recorded at Omnia Education’s Women’s Health Annual Visit. Your host is Dr. Andrea Singer. So, Direct Primary Care, or DPC, is an emerging model in healthcare that focuses on affordability, accessibility and personalization. By eliminating the obstacle of health insurance and creating a direct financial relationship between patient and provider, DPC practices offer a primary care model that studies show lead to better health outcomes and lower costs overall. As of 2017, nearly 3% of primary care practices are operating as DPC practices. I’m Dr. Andrea Singer, and joining me is Dr. Lisa Larkin, President and CEO of Lisa Larkin, M.D. & Associates, Internal Medicine and Women’s Health Group Practice. Dr. Larkin is also Medical Director of Women’s Health Services for TriHealth Corporate Health, and Founder of the Cincinnati Sexual Health Consortium in Cincinnati, Ohio. Dr. Larkin, welcome to the program. Can you talk briefly about how you made the transition to DPC? As a little bit of a background, I’m a women’s health internist,. I spent the first 12 years in academics at the University of Cincinnati in the Department of Internal Medicine. I then left and opened my own, very traditional, primary care and women’s health practice that I built into a multi-specialty practice over 10 years, between 2002 and 2012. I sold that practice and went back into academics in the OB/GYN Department at the University of Cincinnati for 4 years, and made the decision to leave and re-open my practice, June of ’16. I relaunched my new practice just over a year ago, in this new model of Direct Primary Care, after really a lot of soul searching about what I wanted to be as a physician for this segment of my career. So, this is a model that really tries to get back to how we all want to practice medicine, and really have more time, and a much more personal relationship with our patients. And I’ve been doing it for a little over a year right now, and this is, what I believe, a terrific model for patients and physicians, but I also have a lot of data about how this, I believe, can be a really important aspect of what goes forward with our new healthcare reform, and in terms of trying to decrease costs. Can you take us through how Direct Primary Care differs from traditional primary care and a more traditional practice? Direct Care is really about having now a financial relationship directly with your patient. And so, what I have done and what my partner providers have done, is really pretty scary for most everyone which is: I completely dropped out of managed care and I sent my letter to Medicare and resigned as a participating provider in Medicare, which is a very scary thing to do. But I did it, really, because it was an opportunity for me to step back and really reinvent the way that I wanted to be a doctor for this segment of my career, and really to go back from trying to see 28 patients a day, and really to do the kind of medicine that I really believe in, which is comprehensive, evidence-based, with a real focus on disease prevention as well as disease management, and so really, really decided to bite-the-bullet and take the risk and do this. And I will tell you that 13 months in now, I would never go back to the insurance-based model that I practiced in the whole rest of my career. So, I’m sure what comes to mind, for some people, is that hearing these differences is that DPC sounds like a spin-off of a concierge practice, or the concierge care model, but this may be a little bit of a misrepresentation. So, how do they really compare and contrast? I think there is more differences than similarities. So, I think the similarity, so, and many of you have probably heard of the large concierge practice or group nationally, which is MDVIP. And what MDVIP really talks about is, again, kind of some of the language that I just used, right, which is having a smaller patient panel and being able to have more of an opportunity to have a much more intimate relationship with your patients and have more time to do preventative wellness and disease management. And I think that’s where the similarity really is, which is that this is Direct Care, and concierge medicine really is about having a smaller patient panel, right? So, for a typical MDVIP concierge physician, or for most of the Direct Primary Care physicians, I now have a panel of just under 600 patients as opposed to what I had when I was in my private practice the first time, really above 2500 patients, which as an internist, is frankly quite overwhelming. And so, that’s where the similarity is between I think concierge medicine and the traditional definition of an indirect primary care. Where the difference is is that most concierge physicians still remain contracted with managed care plans and with Medicare, and that’s where the opportunity is with Direct Primary Care to actually change cost structure. And that’s, there’s really about how being out of insurance completely, although it’s very scary, actually allows me, and Direct Primary Care providers, to be able to provide care at a vastly reduced cost, because we don’t have the insurance middleman in there. And you can actually provide care, it’s quite remarkable, actually, for really a much lower cost without having the insurance involved. So, I think those are some interesting points, and maybe we could just walk through a couple of pieces of that in terms of reviewing the comparison between Direct Primary Care and concierge care, and I’ll break it into a few main topics. So, you started to talk about patient panel size. Can you compare patient panel size between DPC and concierge medicine? So, I think for a full-time physician, that’s about where… that’s, they’re similar. So, it’s 500 to 600 patients on average for a DPC or a concierge full-time physician. So, that’s the similarity. And what about then the fee structure? People think about, sort of, the sign-on fee, and then what subsequent visits look like and how that works. In most concierge practices, the fee, and I’ve heard numbers across the country, so MDVIP, the range, depending on location, I think, and don’t, this may not be 100% accurate, is 1800 to 2000 dollars, which is the annual membership fee. I certainly know of concierge physicians, across the country, in bigger cities, where the fees go upwards of 5 to 10 thousand dollars a year. And that’s in addition then. So, if you pay that to the physician, what those concierge physicians are doing are still billing Medicare and managed care for the visits. In a Direct Primary Care practice, and what I do in my practice, and of course doctors are never uniform, so there’re differences. If you Google Direct Primary Care and look at what people are doing, it’s a little bit different. But what I do in my practice is I do… it’s a monthly membership fee. So, it’s 40 dollars, 60 dollars, or 80 dollars a month, depending on the age, and then it’s 40 dollars a visit; period, the end. So, for people under 45, it’s 45 dollars a month. From 45 to 65, it’s 60 dollars a month, and over 65 it’s 80 dollars a month. And the reason that I made the decision, and not everybody does this across the country, is because for me, the patient care navigation that I’m really focused on, so I have a nurse navigator who really helps me do care coordination, and get durable medical equipment, and take care of getting sitters in homes, or helping with transportation for my elderly patients, is much more intensive than my younger patients. And so, I made the decision to stagger the fee schedule. In other Direct Primary Care practices, many of them, the typical fee across the country is a hundred dollars a month. It doesn’t matter your age, and that tends to be all-inclusive of visits. And I actually did it a little bit differently, but the concept is really the same, which is a much lower pricing compared to concierge medicine. And again, a very minimal visit cost. Can you talk again about the roles of third-party payers here? And then, maybe also talk about billing for laboratory fees. Of course with Direct Primary Care, patients still need insurance, and so many of them--when they participate in this model can do higher deductible plans, and so, they can save money on premiums by raising the deductible, but you still need catastrophic coverage. So, when I refer patients they still can run their diagnostic imaging and their lab tests, if they choose, and their specialists, and their hospitalization; it all goes through their insurance. But, where the cost savings really comes in is, if a patient has a high deductible plan where they’re never going to hit their deductible, we can actually do, and this goes back to the laboratory testing, we can do things in the office now for such a reduced and discounted price, to save money; when it doesn’t go through the insurance at all it’s quite remarkable. So, for example, if you’re a patient in my Direct Primary Care practice, when you come to see me and I need lab tests for your physical or for an urgent visit, you, as the patient, can decide if you want me to submit that. I draw your blood, I send it to LabCorp. LabCorp can then submit it to your insurance, if you would like it to be billed to your insurance. But, if you want to save money, because you haven’t hit your deductible, and you don’t want to run the labs through your insurance to have it go to your deductible, because then you’re responsible for the full artificially inflated price, you can pay me the vastly discounted price. So, I mean, I can do annual labs for someone, which includes a metabolic profile, lipids, a TSH, a vitamin D, and hemoglobin A1c for 40 dollars. And that’s just unbelievable when you see what explanation of benefits are, when it’s actually submitted to insurance. And so, there really is a way that we can do primary care much better. And of course, we all still need insurance for all of the unexpected catastrophic things that can happen, but primary care we can do better, less expensively. Given these differences between both traditional and concierge models and DPC, what have you found to be the main advantages of adopting a DPC practice? As I said, I wouldn’t go back, but for me as a physician, it’s really, I go home at the end of my day now feeling that I have done a better job taking care of my patients. Seeing 16 patients a day compared to 28 patients a day is huge. I have 30-minute followup visits now. I have one hour new patients and consults, which is, I have to tell you, it is the most unbelievable luxury. And what it has allowed me to do is: A) Feel better, because I’m really doing a better job with my patients. I call them all the time with their labs now. I follow up much more regularly when they’re in the hospital. I have much more time to do care coordination with all the specialists. I’m doing home visits now, I’m really back to being the kind of doctor that I really think that we should all be, and our system really is making so, so hard for us to do it. But the other thing it’s allowed me to do with that much time is really do some cool innovation to really move the needle forward, right? So, I’m doing telemedicine now in the office, doing the laboratory testing in the office so cost effectively, has been such a great thing. I’m now doing a very small generic pharmacy with one hypertension med, and one diabetes med, and a couple generic antibiotics. And the cost is pennies a tablet, I’m telling you. It’s just, it’s so clear what’s wrong with our healthcare and that we really need to fundamentally overhaul it, particularly for primary care. But, I’ve really been piloting this new breast cancer risk assessment program. I’ve really been doing much more with trying to do biometric assessments and really focusing on kind of helping with obesity and weight loss, right? So, because I have more time, I can really try to do cool things, and really try to do a better job taking care of my patients. So, again, I think it’s hugely advantageous and I would never go back. So, briefly then, just to finish up, with all of these things that sound very enticing to many of us who are seeing many more patients a day, why aren’t more physicians, or other providers, opting to open a DPC practice? What obstacles or barriers do you think one has to encounter, or try to overcome? I can tell you in my market, in the years prior, I was one of the last remaining independent primary care and women’s health… I was one of the last independent group practices in Cincinnati. All of the other ones before 2012, so in the years of 2008 to 2012, were being bought up by all of our 5 hospital systems. And I was the stalwart; that I was not going to be bought. But I really had this vision about doing women’s health on a much larger scale. And so, ultimately, really, made the bullet to go back into academics, as I said, but in that same time period, all of these practices were really bought up and all of my physician colleagues are employed by hospitals now, with very restrictive non-competes. And the best thing that I had done when I went back into the academic institution and sold my practice, was I negotiated not a non-compete, and so I had the ability to actually reinvent myself and to go back out and to relaunch my practice, which I can tell you, very, very few of my colleagues in Cincinnati have. So, right now, I have 2 partners, so there’s 3 of us, and there’s 3 other people doing Direct Primary Care in my Cincinnati market, which is very small. In some other markets in the Midwest, particularly Milwaukee and Kansas City, it’s about 15% of the market now, and there’s this move where, if you can consolidate, Direct Primary Care group practices can negotiate directly with employers to pay the membership fee. And I think that’s where the opportunity is to grow this, but it’s really hard. So, there’s the employed part, where physicians can’t do it, but the other thing is, I’ve got to tell you, I’m in debt. I went from being in debt, to building my practice and not being in debt, and selling it and going back into academics, and coming back out and I’m in debt again, and that’s a very, you know, we have to be a little bit entrepreneurial and I think a little bit gutsy to do it, but it’s working and I’m happy, and as I said, , it’s really about being a doctor and I feel better about what I’m doing. Something for all of us to think about. Dr. Larkin, thanks so much for joining us today. This has been an episode of Clinician’s Roundtable on ReachMD, provided in partnership with Omnia Education. Dr. Singer & Dr. Larkin discuss how Direct Primary Care works, and the benefits of this practice for both patients and physicians. Direct Primary Care, or DPC, is a new healthcare model that focuses on affordability, accessibility and personalization. Health insurance is an obstacle that many patients face and one of DCP's goals is to create an affordable way for patients to get the healthcare they need at a reasonable price with a physician who has the time to see them. Joining Dr. Andrea Singer in this emerging discussion of Direct Primary Care is Dr. Lisa Larkin, President and CEO of Lisa Larkin M.D. & Associates, Internal Medicine and Women's Health Group Practice, Medical Director of Women's Health Services for TriHealth Corporate Health, and Founder of the Cinncinati Sexual Health Consortium in Cinncinati, Ohio. 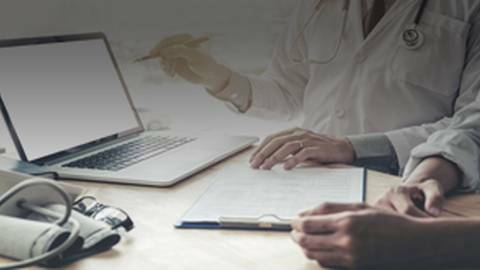 The two discuss both the benefits and challenges of Direct Primary Care as well as the similiarities and differences between DCP and traditional primary care.